Some say there are "no mountains" in Minnesota, but they have some of the best places to learn to ski. Crowds are lower, slopes are less intimidating, and it's easy to get on and off the mountain while you are building your confidence. 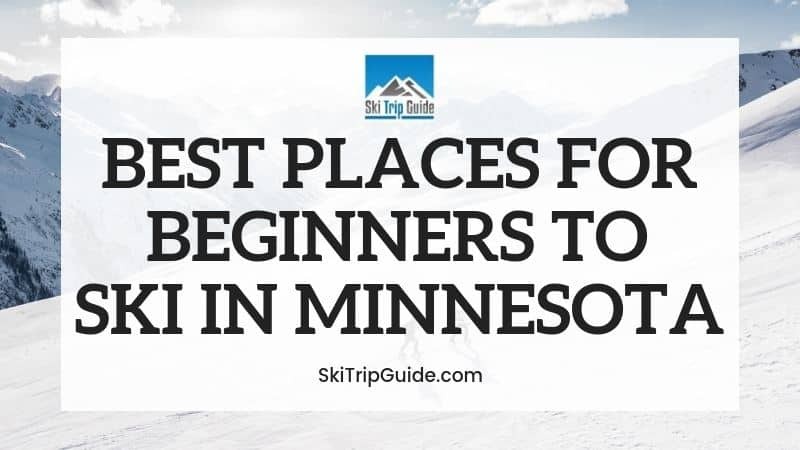 If you are a beginner, here are 5 ski areas you must check out while in Minnesota. Lutsen Mountains is made up of 4 peaks all overlooking Lake Superior. The lake effect snow virtually guarantees a great time skiing. While they do not offer onsite lodging, there are ski in/out options. Catering to families, they offer ski & stay packages that provide free skiing for kids. Minnesota's first resort even started there making them rich in hospitality. There are 6 green trails designated for beginner skiers when you are ready to explore the mountain. There is 1 magic carpet lift in the learning area. As a beginner, you can access it to get yourself accustomed to beginner terrain. Adult Group Lessons - Offered daily; geared toward beginners and facilitated in the learning area for beginner terrain. Private Lessons - For 1-on-1 instruction at your level; offered in 1 hour increments. Children's Group Lessons by Age - Kinderschool (4-5), Mountain Rangers (6-12). For additional details and rates, check their website. Save time by completing all of your paperwork ahead of time at home. Save money by reserving your multi-day rentals online before you arrive. Click here to check rates and book. There is no snow tubing park at Lutsen Mountains. There is plenty to do on the mountain: skiing, dog sledding, snowmobiling, and snowshoeing. You can even view the Northern Lights. However when you are ready to leave the cold, off mountain activities are more limited as lodging is considered offsite. There is dining on the mountain, and they also offer live entertainment 7-days a week. Lutsen offers the best Midwest skiing! Everything is well laid out and there are great options for all skill levels. The best part was the view of Lake Superior at the top of the mountain. Buck Hill is known for quality skiing and has a nationally acclaimed ski racing program. Ski Magazine considers them the "Capitol of American ski racing". They even have innovative, artificial ski slopes to extend the ski season into non-winter months. Don't let their reputation fool you though. They are still very family oriented and have a great offering for beginners. There are 6 green trails with terrain perfect for a beginner to learn to ski. They offer 2 magic carpet lifts making learning to ski easy for the beginner. Daily Group Lessons - Offered 3-4 times each day for ages 6+. Reservations are only accepted the day of. This lesson runs 1 hour to 90-minutes depending on class size. Learn To Ski - This beginner lesson is 90-minutes long. Private Ski Lessons - Customized to your skill level. Can be reserved for 1-on-1 or a small group. FASST Kids Lessons - Grouped by age. Little Bucks (4-6), Buck Hill Cruisers (7-12). For rates and class details, click here. Rentals are offered on a per day basis. Book a lesson, get a discount on your rentals for the day. Check rates here. Buck Hill offers a newly expanded snow tube hill and carpet lift. Sessions are offered in 2-hour increments. Their artificial snow technology even allows for snow tubing in the summer. Buck Hill is all about the skiing and snowboarding. Aside from having 3 restaurants on site, the rest of your off mountain activities will be found in town or with your lodging choice. Since there are no mountains in Minnesota this serves as an excellent training facility, family outing, and warm-up for a trip to the mountains. It's a great place to learn to ski as the slopes are not intimating. Yet, there are options for skiers of all abilities. Giants Ridge boasts being Minnesota's #1 family vacation destination. 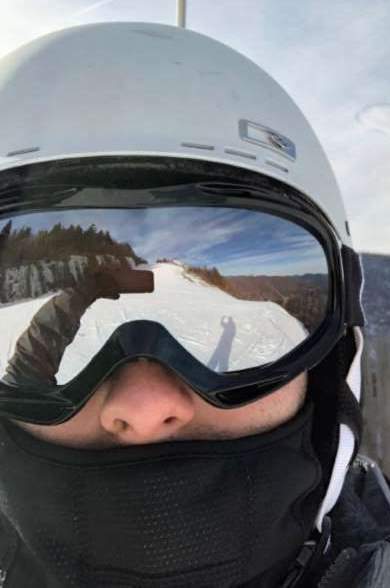 They are one of the largest golf and ski resorts in the state making it a year-round choice. Be sure to plan in advance. Discounts on lift tickets are available when you purchase online, in advance. Also, kids ages 6 and under ski free! There are 12 green trails for beginners as you move out of the learning area onto the slopes. There is 1 magic carpet lift in the learning area. It is designed for beginners. Giants Ridge offers private and semi private lessons for all guests ages 4+. This option allows the instructors to customize for your skill level and readiness. Children have group lesson options by age. The Ridge Kids program is ages 4-14. These lessons are designed for beginners only. To view details and rates, click here. Anything you need for skiing, snowboarding, and fat tire biking can be rented at the rental shop. To check current daily rates or reserve your equipment, click here. Giants Ridge offers 3 snow tubing lanes and a tow lift. Book your session in 2-hour increments. Prepare to sit back and enjoy the ride. On the mountain you have skiing, snowboarding, snowshoeing, snowmobiling, snow tubing, fat tire biking, and more. Dine at the Burnt Onion Kitchen & Brews - unmatched in the area. Salon & spa services - Massage, pedicure, manicure, or hair and nail care. Stay onsite at The Lodge - Indoor pool & whirlpool. This place is super kid friendly. Well-groomed and not too crowded on the slopes. Many types of runs to choose from, including 2 bunny hills for the beginners. Afton Alps is located in the St. Croix River Valley, just outside Minneapolis and St. Paul. Over the last 5 years, more than $10 million has been invested to upgrade and update the property. Their more than 300 skiable acres has something for everyone. There are 13 green trails for beginners to spread out and enjoy the mountain. Afton Alps offers 2 magic carpet lifts to help first time skiers develop their ski legs and build confidence. First-Time Beginner Lesson - This is a 2-hour lesson with a small group of first time skiers. Ages 13+. Group Lessons - Available for beginner skiers who have skied before. Ages 13+. Private Lessons - Customized 1-on-1 training. Ages 7+. Epic Kids Group Lessons - This is a 1-day training program for kids. Ages 4-12. Rent anything you need for a daily rate. Their rental shop is available to get you fitted and on the slopes. There is no snow tube park at Afton Alps. Afton Alps is all about the skiing and snowboarding. They offer slopeside dining at 6 restaurant venues. Otherwise, check with your lodging choice for additional activities and amenities. While it is Midwest skiing and not the mountains, it is the best ski resort within an hour of the Twin Cities. They offer a variety of slopes to choose from, depending on your experience and preference. Recently purchased by Vail Resorts, and the updates and upgrades have already begun. Welch Village was started by two men and their families. Today it is still a family, fun destination. With 140 acres of skiable terrain, there are 60 trails available for skiing. Their modern approach to lessons and teaching focus on making it part of your lifestyle. In fact, they recommend people become skiers and snowboarders for life. As a beginner, you have 15 green trails that will allow you to explore the mountain. There is 1 magic carpet lift. It is open during lesson hours and intended for lesson guests who are learning. Beginner Day Camp - This is a small group, all-day beginner ski lesson for adults (13+). Guaranteed to have you parallel skiing like an expert by the end. Private Lessons - Get 1-on-1 attention from your instructor as you learn. Kids Group Lessons by Age - Welch Tots (4-5), Welch Kids (6-12). To view details and current rates, click here. The rental shop offers daily rates for both recreational and high performance ski equipment. Click here to check their rates. There is no snow tube park at Welch Village. You will find onsite dining and drinks. They even offer live music entertainment on designated nights. Any additional activities and amenities will be found in town or through your lodging choice. Welch Village is in a beautiful part of MN and the ski runs offer something for everyone! It is the Midwest so there are short runs, but many of them. Each provides a different challenge.